These metal fittings are used for holding pneumatic (compressed air) tube. Designed for tube with a 4mm diameter made of Nylon or PU (PolyUrethane), they also work better than anything else we have found with PTFE tubing, which is very hard to hold due to its low friction. Has plastic collar - push down to release. Thermal grease to increase the conduction of heat from chip to heatsink or heat resistor to heater block to thermistor. These small fans are often used to cool 3D Printer Hot Ends, especially on bowdon tube and rostock designs. 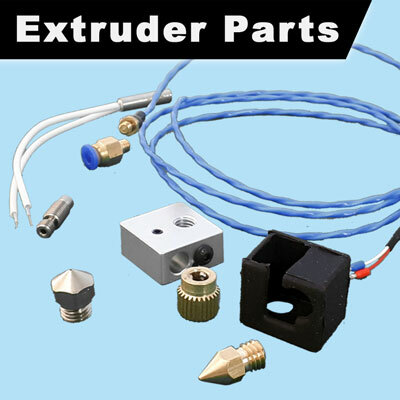 This is commonly used to isolate the filament feeding mechanism from the hot end. As PTFE (Teflon) is both a good insulator and can withstand high temperatures, this makes it ideal.